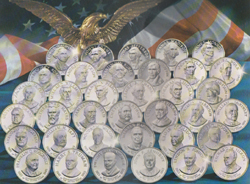 Franklin Mint The Official United States Constitution Bicentennial Stamp Collection From The Freedoms Foundation Current Market Value. of first issue. Comes with COA and original binder holding all stamps and ingots.